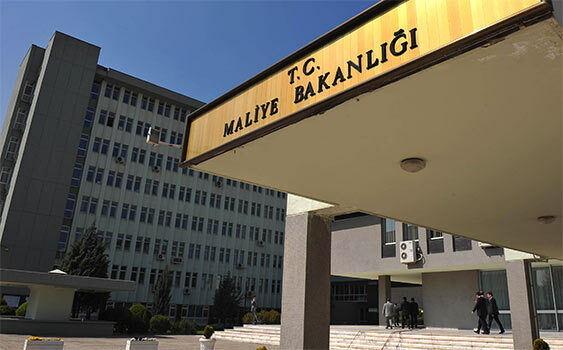 The Ankara Public Prosecutor’s Office has issued detention warrants for 70 Finance Ministry staff members over the use of a smart phone application known as ByLock, Turkey’s state-run Anadolu news agency reported on Thursday. The suspects were previously dismissed from the ministry with a government decree issued after a coup attempt on July 15, 2016. According to the report, as part of the investigation, police teams conducted operations against the suspects in five provinces. Turkish authorities believe using ByLock is a sign of being a member of the Gülen group, which the government accuses of masterminding the failed coup attempt. The mobile phone application ByLock is seen as the top communication tool among members of the group. Turkey survived a military coup attempt on July 15, 2016 that killed 249 people and wounded more than a thousand others. Immediately after the putsch the ruling Justice and Development Party (AKP) government along with President Tayyip Erdoğan pinned the blame on Gülenists. Fethullah Gülen, the leader of the group, denied having any role in the attempt, but Turkish President Recep Tayyip Erdoğan and his government initiated a widespread purge aimed at cleansing sympathizers of the movement from within state institutions, dehumanizing its popular figures and putting them in custody.